Colon and rectal diseases are not easy topics to discuss, which is unfortunate because when treated early, the treatment outcomes are significantly improved. There are many different colorectal conditions and diseases that range from being mildly irritating to life threatening. Some of the symptoms are similar to other diseases and are misdiagnosed. It is therefore important to be aware of colorectal disease symptoms and undergo further screening to have the best chance for a beneficial treatment. Here is an overview of six of the major colorectal diseases from the American Society of Colon and Rectal Surgeons. This inflammatory disease of the large intestine affects about 500,000 people in the U.S., most who are under 30. 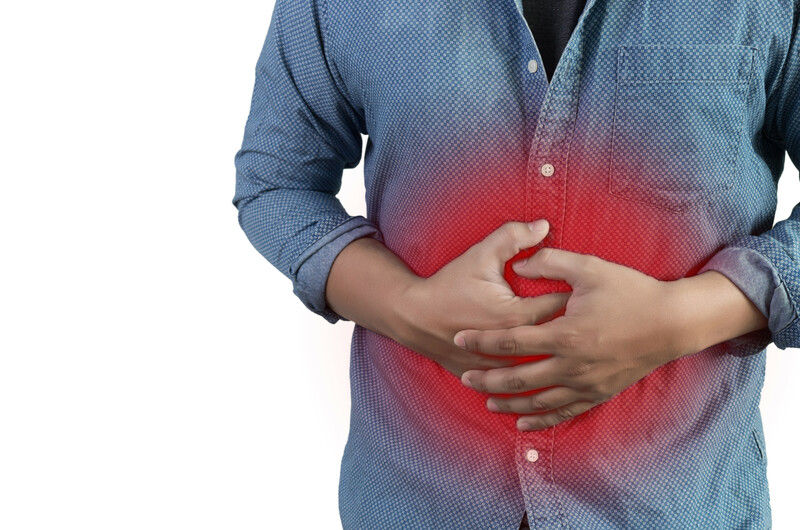 Symptoms can be very disruptive to everyday life and include bleeding with bowel movements, abdominal pain or bloating, constipation or diarrhea. There is no medical cure but there are medications that can relieve the symptoms. The chances of developing large bowel cancer increase with ulcerative colitis so it is important to have proper treatment and periodic screening. IBS stands for Irritable bowel syndrome, a common intestinal functioning disorder that affects up to 30 percent of Americans at some point in their lifetime. The symptoms include constipation or diarrhea which can cause pain, bloating or cramps. Since these symptoms are similar to the ones that signal very serious colorectal diseases, it is important to get screened. Many people suffering from IBS can find relief through stress reduction and dietary changes. In some cases, medication can be given to help the intestinal muscle contractions return to normal. About half of Americans will experience diverticulitis by the time they are 60 and nearly everyone experiences it by 80. Basically, diverticulosis is inflammation of pockets in the colon wall. The symptoms can include pain, cramps and changes in bowel habits. When left untreated, it can lead to diverticulitis which can require antibiotics, dietary restrictions, and, in some cases, hospitalization. Many find relief with a high-fiber, low-fat diet supplemented by occasional medications to address pain, cramps or other issues. Hemorrhoids are one of the most common colorectal issues. More than half the population will develop symptomatic hemorrhoids, usually after reaching the age of 30. These swollen veins can be external or internal and can be painful during bowel movements or when sitting. Dietary changes can often address the symptoms of hemorrhoids but, in some cases, hemorrhoids may be surgically removed. Crohn’s Disease involves chronic inflammation primarily in the intestinal tract. It usually affects young adults between the ages of 16 and 40. Symptoms include pain and diarrhea which can lead to weight loss and malnutrition. Some symptoms can be treated with medications. In severe cases, surgery to remove the diseased segment of the bowel is performed. About three-fourths of people suffering from Crohn’s Disease eventually have surgery. Each year, about 140,000 people develop colorectal cancer and about 60,000 people die from the disease. About 90 percent of the people who contract colorectal cancer are over 40. Colorectal cancer is potentially curable if detected in its early stages. Symptoms include rectal bleeding and changes in bowel habits. Between 80 to 90 percent of colorectal cancer patients can be restored to normal health if the cancer is detected in its early stages and surgically removed. The cure rate drops to only 50 percent if the cancer reaches later stages. The best method of addressing various colorectal diseases, including cancer, can be surgery. Like any major surgery, there must be a time of recovery when the body is allowed to heal. When careful attention is given to pain management, physical therapy, medications and diet, the speed and outcome of the recovery improves. For many, the best way to get this level of care is to recover in a short-term care facility after a hospital stay. One of the most elegant and effective choices for short-term care is Glenview Terrace, where there is a dedicated Colorectal Care program that effectively addresses every facet of recovery, including therapy, nutrition, wound care and pain management. This program provides an interdisciplinary and patient-centered system of post-operative care designed for the best possible recovery. Under the direction of Advocate Lutheran General colorectal surgeons, each patient receives individualized care to meet specific needs. This level of care can lead to fewer complications following surgery, a shorter length of stay, fewer readmissions and a successful recovery. The Colorectal Care program at Glenview Terrace offers a seamless continuation of the patient’s surgical experience where doctor’s orders are carefully carried out. An ostomy care nurse trained in Advocate General’s protocols is present to provide care as needed. Clinicians carefully monitor each patient’s diet so they receive the most nutritious foods while still following the dietary restrictions. Therapy is available seven days a week to help each patient regain strength. Finally, staff trained in evidence-based practices provide education for the patients so they can continue to improve after leaving Glenview Terrace. Stays at Glenview Terrace are in elegantly appointed rooms with thoughtful extras, such as morning coffee and newspaper delivery as well as concierge services. When it’s time for compassionate and expert care, consider Glenview Terrace where the goal is always to help get you back to the independent lifestyle you desire. For additional information or to arrange a tour, visit glenviewterrace.com or call 847-729-9090.